North Korea is by no means an ordinary tourist destination and unless there is a major change in the country's circumstances, visiting North Korea will remain something rarely available, and only for the fortunate few. Join Bob Malcolm, Managing Director of Travel Masters, on this great value, all-inclusive, small group escorted tour. 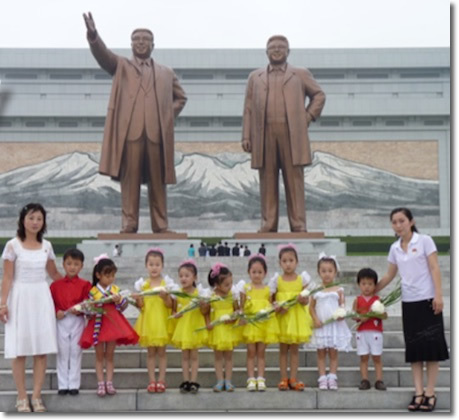 Many discerning travellers rank a visit to North Korea as their most interesting and memorable travel experience. Probably the most mysterious country in the world, sometimes known as 'the Hermit Kingdom', North Korea has historically been controversial and has shut out the rest of the world. Only periodically opening and closing its doors to foreigners, it remains one of the world's most inaccessible countries. Those given the opportunity to visit are not always able to see everything they may wish to see, and must be accompanied by a government tour guide (usually both pleasant and genuinely helpful) at all times. There are significant limitations for foreign visitors. Those who can accept these terms will have a fascinating visit experiencing a truly mysterious country and its unique culture, where total obedience to the state is mandatory. People who ordered North Korea Escorted Tour also ordered the free travel brochures below. Click on the images to find out more about these brochures.